YOU ARE ARE WELCOME FOR A NEW DJ SET FROM JIM MIKI & DJ MARCO TREPO !!!!!!! 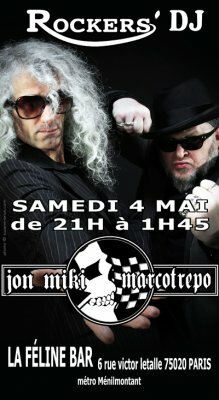 A LA FELINE SAMEDI 4 MAI !!!!! PURE & HIGH VIBRATIONS !!! !